Pacemaker is a small device which helps in abnormal heart rhythms. Placed in the chest, the electrical pulses prompts normal heart beat. Pacemaker is implanted by a doctor who specialises in this procedure. Pacemaker is a small device (about the size of a pocket watch) which helps to control abnormal heart rhythms. It is placed in the chest or abdomen and uses electrical pulses to prompt the heart to beat at a normal rate. Pacemaker is implanted by a doctor who specialises in this procedure in a hospital. Pacemaker has a battery, a computerised generator, and wires with sensors called electrodes on one end. The battery is the source of power for the generator, and both are placed in a thin metal box. The wires have electrodes and they connect the generator to the heart. 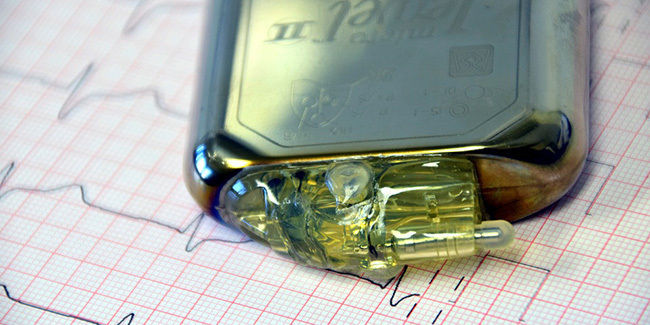 A pacemaker functions to monitor and control the heartbeat. The function of the electrodes is to detect your heart's electrical activity and send data through the wires to the computer in the generator. If abnormal heart rate is detected by the pacemaker, the computer will direct the generator to send electrical pulses to your heart. The pulses are transmitted through the wires to your heart. The computer in the pacemaker records the heart's electrical activity and heart rhythm. These recordings are useful as they help the doctor to adjust the pacemaker to work better for you. The pacemaker's computer can be programmed and controlled with an external device. Hence, no needles or direct contact with the pacemaker is needed to make any changes in its setting. The new types of pacemakers are capable of monitoring several parameters, including blood temperature, breathing, and adjust your heart rate according to changes in your activity. There are one to three wires in the pacemaker that are placed in different chambers of the heart. Single-chamber pacemaker: In this the pacemaker’s wires usually carry pulses between the right ventricle (the lower right chamber of your heart) and the generator. Dual-chamber pacemaker: In this type of pacemaker, two chambers are connected with the device. The wires carry pulses between the right atrium (the upper right chamber of your heart) and the right ventricle (the lower right chamber of your heart), and the generator. This helps to synchronise the timing of these two chambers' contractions. Biventricular pacemaker: Pacemakers in which the wires carry pulses between an atrium and both ventricles and the generator are known as biventricular pacemaker (or cardiac resynchronisation therapy device). As the wires carry pulses between both the right and left ventricles, it can coordinate electrical signalling between the two ventricles. There are two main types of programming for pacemakers, i.e. demand pacing and rate-responsive pacing. Demand pacemaker: These types of pacemakers monitor your heart rhythm. An electrical pulse is sent to the heart only if it beats too slowly or if it misses a beat. 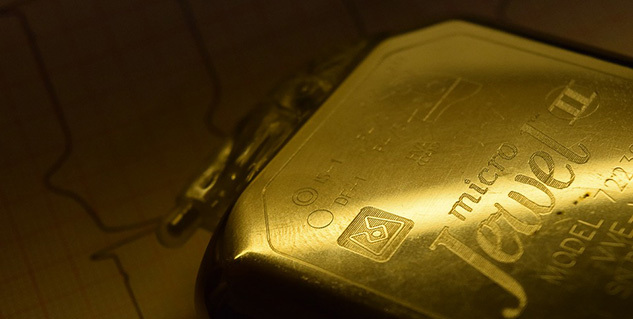 Rate-responsive pacemaker: This pacemaker speeds up or slows down the heart rate depending on how active you are. The rate-responsive pacemaker has the ability to monitor your sinus node rate, breathing, blood temperature, and other factors to determine your activity level and then change the heart rate. If you want a pacemaker to continually set the pace of your heartbeats, you need the rate-responsive pacemaker. After complete examination and tests, your doctor will determine the type of pacemaker that is best for you.